Today, nothing is better than getting an easy-to-use taxi booking app that improves the experience of a ride while going back home. Whenever it comes to talking about the taxi booking application, Uber is the first word that comes to everyone’s mind. However, Uber is not the only taxi booking app in the market; you may have heard about Grab, an Uber’s fierce rival in Southeast Asia, recently announced that its service has crossed one billion rides, raising $2 billion. 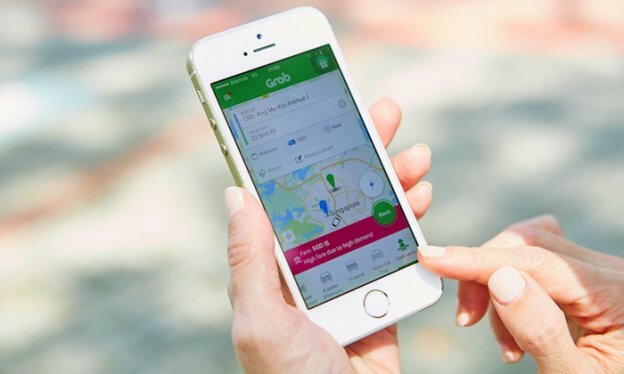 Grab, Uber’s biggest competitor in Southeast Asia, gradually expanding its business and releasing information about its latest fundraising as it recently received a strategic funding from Hyundai. Grab, Who crossed its 1 Billionth ride in November 2017, got a huge $2 Billion fund from Softbank & Chinese Taxi giant Didi-Chuxing in July 2017. In the August month, it also raised funds from one the contributors, Toyota, for enhancing technology. Now, world’s leading online travelling brand – Booking Holdings has become the latest investor by recently acquiring a stake in the Southeast Asian ride-hailing company – Grab. 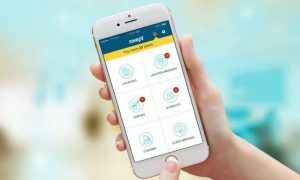 As a part of a strategic partnership between these 2 companies, the US-based online travel firm has invested $200 million in to acquire a minor stake. Prior to this funding round, Grab has already secured investment from a number of global financial institutions named OppenheimerFunds, Cinda Sino-Rock Investment, Mirae Asset, and Ping An Capital. With this deal between Grab & Booking Holdings, Grab app users will be able to book travel-related services through the app and pay via the GrabPay digital wallet. Currently, Grab operates in 235 cities across Southeast Asia. Through this investment, Grab has raised around $2B funding and it is looking to raise over $3B by the end of 2018. Grab now looking to jump into the competition with bike-sharing service providers. Soon, Grab is going to include bike-sharing into its services as it is planning to have a joint service with oBike located in Singapore. A few days back, a Singapore localite shared few pictures of Grab Cycle bikes, showing the logo of oBike, being loaded into a van. However, Grab chose to remain silent & not commented, when asked about the same. Grab, however, announced that oBike will integrate into GrabPay( Grab’s mobile payment service). 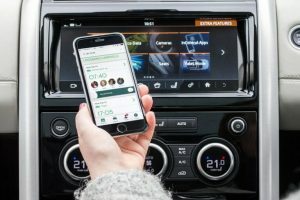 According to sensortower.com, Grab was the second most downloaded ridesharing and taxi app worldwide in Q1 2019 with 12 million new installs. The company hit the milestone on October 26 when 66 concurrent trips from across its seven markets took it into the ten-figure territory. Moreover, the taxi booking app ‘Grab’ is backed by the likes of SoftBank and Didi in China – both have just invested $2 billion into the company and its latest valuation of $6 billion makes it Southeast Asia’s highest-valued tech company. On the business perspective, it claims to have more than two million drivers and upwards of 68 million consumer app downloads. Along with it, the company also took a major step into becoming a fintech player too. It is because of the ride-sharing company, which recently raised $2 billion from SoftBank and China’s Didi Chuxing, established support for its GreatPay service among third-party merchants for the first time today. How this Uber Rival Grab Crosses 1 Billion Rides in Southeast Asia? Grab has been evolved significantly over its last five-year history and most remarkably it has broadened into fintech over the last 18 months. In early 2016, the company started with only offering card payments, and gradually, added other features like credit and peer-to-peer payments. Last week, the company has expanded its GrabPay feature, capable of handling digital payments for rides to third-parties for the very first time. The initial merchants are Singapore street food sellers – it means the app can be used to purchase food without cash and cards. And it also has planned to deliver the service to cover other countries and different merchants. Now, you must be thinking how this Uber Clone App is gaining huge popularity and what are the reasons behind it crossed 1 billion rides in Southeast Asia. Grab is one of the most popular taxi-booking applications in Southeast Asia that sees the problem of riders, understand it, and come-up with the solution. The company works hard to comprehend the real-world transportation problems and bring the right solution to them. However, it is not enough to bring a solution to run a successful taxi-booking application and compete with Uber. Still, the app needs to bring passengers and drivers together, so the company works with communities and governments together. They also need to learn from the diverse people and cultures of Southeast Asia. Likewise, to develop an Uber Clone app for your taxi business, you need to understand your target audience, their needs, their problems, and their cultures to serve them better. Today, transportation is a right to people, not a privilege. And this is the main reason why Grab works hard to develop one such platform that serves every need of users, regardless of their age, income or needs. Door-to-door: The company believes that the door-to-door transportation must be affordable. Not because it is nice to have, but for someone with special requirements, it is must to have. Choices: No matter whether it is taxi, car, bike or any other vehicle, all the rides are priced fairly. There is one for your every single need. Anywhere & Anytime: Whether you are going in office in the morning, coming back home from partying, Grab is always there for you to take care of you. Training & Code of Conduct: The company constantly improves its training system and code of conduct to make sure a high level of service. Safety Feature: It is continually innovating for your safety and in fact, it introduced the first “share your ride” feature in the industry. ScreeningEvery Driver and Vehicle: The application will screen upon registration and it should maintain a star rating above a set minimum. Insurance & 24/7 Customer Support: The safest feature it provides its riders is that it will cover with additional Personal accident coverage and offers 24/7 customer support to respond in an emergency. In the month of June, Uber reached 5 billion trips; however, the company does not break out the figures for the regions it operates across the world. In fact, the five billion mark was crossed in May. 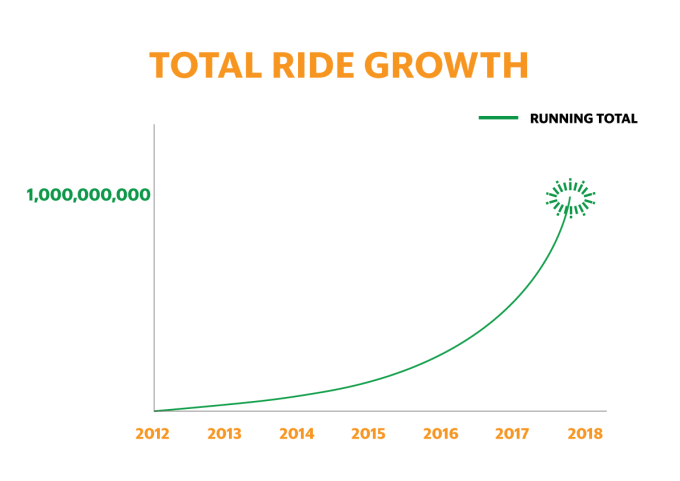 Whereas Didi is also in the billion-ride club and Lyft, a second-largest taxi service provider in the U.S, hit 500 million trips this past summer and is growing at one million per day. Completing one million rides a day is extremely cool for Lyft, but it is still nowhere near the number of rides that Uber finishes on a daily basis. There are a lot of taxi service providers, who think that creating a taxi-booking app is only for big brands like Uber, Lyft, and Grab. But they don’t know the journey of Uber and Grab like how both these startups born and what steps they took to increase the number of rides. Uber was created in 2009 when two guys got stuck in Paris and there were no taxis, no public transport and as necessity is the mother of all invention, they launched Uber. Whereas Grab was also born like this when a group of friends were enjoying some tea together in 2012. After spending time, they started ranting about how difficult it is to get a taxi in Southeast Asia. Today, Uber and Grab are the most successful on demand taxi service providers in the market, and both these startups got huge success because of their problem-solving service. They directly suffice the need of people, who want to travel from one place to another. They just need to book a cab using their smartphone with just a few clicks. The revolutionary cab service providers Uber and Grab have embraced marketing in a non-traditional way. The digital marketing strategies of both the companies are mainly focusing on raising brand awareness so that more and more people know about them and use their application. Gradually, both the brands become familiar in people’s mind with social media images that were shared with millions of people. Do you know Uber started his journey with only three cars in New York? The startup used Twitter to hire a product manager and it had the potential to be a leading taxi service provider, and that’s also true for many startups. Likewise, Grab’s main goal is to make Southeast Asia a better place, where hiring taxi should not be difficult anymore. Both the startups intelligently based their business on technology at its core. Why Taxi Service Providers Still Need to Make an Uber-like Application? In the last five years, the traditional taxi services have become almost intolerable. Day-by-day, the competition is increasing, and customer loyalty is not expected as cheaper transport providers are stepping in. Now, Uber-like taxi-booking applications are ruling the market and the reality is that Uber-like taxi services are here to stay for a long time. For traditional taxi businesses, the time will never be same again. Visibility: By having a taxi booking app like Uber and Grab, your taxi business can get a huge visibility in the market that gives an automatic boost to your business. Higher Profits: By developing a taxi booking app for your customers, you can increase the profit by increasing the overall revenue of your business. You can give tough competition to other taxi apps and try to get a big piece of cake. Many more Advantages: To gain a lot of other advantages like brand awareness, more customers, more business, etc., you should definitely create your own taxi application with required features. Taxi businesses can easily get their own taxi application to meet their users’ specific requirements. 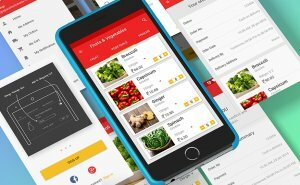 How much does it cost to develop Uber Clone App? The total cost of developing an Uber-like application depends upon various factors and key features that need to be implemented. There is an important set of parameters and required time for each work that needs to be considered and calculated while estimating the cost. Moreover, the platform also plays an important role in calculating man-hours and the actual pricing of the app development. However, we have analyzed the estimation of developing Uber-like app considering various factors in mind. Still, if you have any confusion or query regarding Uber clone application, you can get in touch with us as we are a leading mobile app development company, having a team of full-stack mobile app developers, who will get back to you with a right solution. This page was last edited on April 19th, 2019, at 9:15.